Alistair McPhail BDS- qualified from Glasgow University in 1989. I have worked in general dental practice for 25 years and I have had my own Practice in Newton Mearns, Glasgow since 1998. I also have another Practice in Clarkston, Glasgow, having acquired it in 2013. 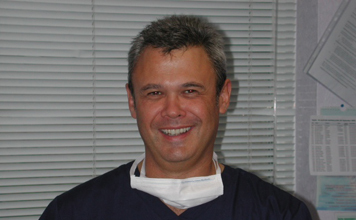 My main interests are in cosmetic dentistry and implant dentistry. However in 2013, as a chronic snorer, I became interested in finding a solution to this problem. I attended the Somnowell course run by Dr Ash in Glasgow, and subsequently started wearing a anti snoring device nightly. Since then, my sleep apnoea and snoring problem, have almost completely resolved. I now waken more refreshed and more alert, and my blood pressure has reduced to the point that I no longer require medication. I have treated many patients successfully with the Somnowell device:- indeed many thank me for changing their life, including patients who have previously had a CPAP machine. I can thoroughly recommend the device to anyone with a chronic snoring problem, and can be contacted at my surgery in Newton Mearns on 01416393596 for consultations.